Classic trap game. A game after an emotional win against the Warriors and a game before a pivotal game against the Rockets, the Spurs were in San Antonio to take on a Heat that had won seven of their previous nine games, with their two losses coming against the top two teams in the East: Milwaukee and Toronto. Unfortunately, the Spurs came out of the gates without any energy on Wednesday night. The offense was stuck in mud; the defense was porous and noncombative. Miami held control of the game for much of the first 36 minutes, growing their advantage to as fat as 18 points. In the fourth quarter, the good guys finally woke up. They entered the period trailing by 12 points but eventually battled all the way back. Rudy Gay shot and missed a three-pointer that could have tied it with 38 seconds remaining. 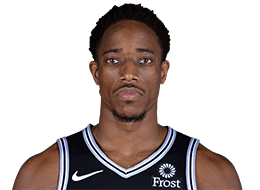 With the Spurs still trailing by three, DeMar DeRozan blocked a shot and snared the rebound with ten seconds left in regulation. However, Dwyane Wade — in his final game in San Antonio — stole the ball to seal the victory for the Heat. As it turned out, it was simply too little, too late for the Spurs. The lack of energy in the first three quarters was too much to overcome. And let’s give the Heat credit, as their zone-happy, trap-happy defense discombobulated the wary Spurs and they undeniably played harder for more of the 48 minutes. That was a disappointing way for San Antonio’s nine-game winning streak to end. Let’s hope they can get back on the horse on Friday when they do battle in Houston. 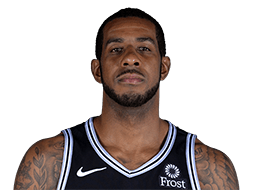 LaMarcus Aldridge’s statistics look fine but he was one of the leading culprits of San Antonio’s low energy ways. He wasn’t involved much offensively, mostly because he wasn’t running the court as hard as usual or battling for low post position as often as usual. Defensively, he was decent to good in one-on-one situations but his help was a step late and he didn’t venture out to the perimeter much at all. Aldridge was still productive due to his high skill level but he left the intangibles at his house, unfortunately. Summary: Aldridge didn’t bring the juice. The good: DeMar DeRozan continued his much improved play on the defensive end. He was physical and attentive both individually and team-wise. In the fourth quarter, his defense took another step forward. His 15 rebounds were a career-high, many of which were contested. On offense, his shot-selection was fine and he did a fair amount of playmaking. The bad: DeRozan’s fourth quarter was forgettable, to put it kindly. All three of his turnover came occurred down the stretch, he didn’t make a basket in the fourth and he compounded his struggles by picking up a technical foul as the Spurs were attempting their comeback. San Antonio could have really used a big fourth by DeRozan — and they got the opposite. Additionally, in the first three quarters, his effort was sporadic and his focus waned. Summary: DeRozan came up small in the fourth quarter. 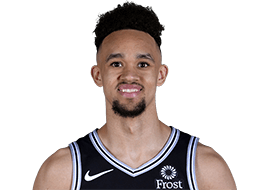 I’m not sure what was wrong with Derrick White. On offense, he was moving slower than usual, wasn’t making many plays, wasn’t getting elevation on his shots and his decision-making was often iffy. On defense, he was painfully slow to loose balls, lost track of shooters and his individual D was sub par. Hopefully White just had an off game and this wasn’t a case of his feet bothering him again. An injury to White would be disastrous right now. Summary: White was pretty darn bad on both ends. 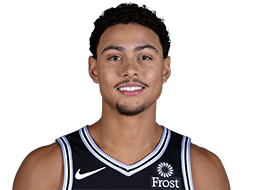 Bryn Forbes had a hard time. Defensively, he was overwhelmed too easily and was slow to get hands up on shooters. Offensively, his ball-handling was labored and his confidence was shaky whenever he was in a situation where a decision needed to be made. Forbes played decently well in the fourth so let’s hope that portends to better play in coming games. Summary: Forbes wasn’t of much help. Jakob Poeltl rebounded well, particularly on the offensive end, and made a few heady passes. However, his physicality was missing in action and he negated his size advantage too easily with finesse play. His screening wasn’t as sturdy as normal and his activity level on defense was a few notches lower than we’ve witnessed in recent affairs. Summary: Poeltl needed to be tougher. 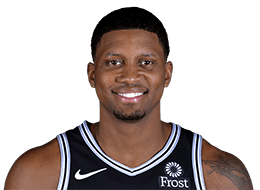 With the offense out of rhythm, the Spurs leaned more on Rudy Gay and he helped the Spurs gain some traction on that end. He scored well in isolations and, even more vitally, he broke down the defense enough to create opportunities for others — and that led to his game-high seven assists. Gay also limited his mistakes and looked more limber than usual going toward the rim. Defensively, he was hot and cold but he was at least energetic most of the evening, tallied eight rebounds and provided some rim protection. Summary: Gay stepped up when called upon. 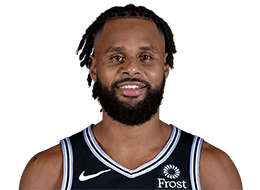 With White struggling, Patty Mills was asked to do more and the results were mostly positive. He wasn’t bashful about shooting and his five well-timed three-pointers kept the Spurs in the game. Mills also pushed the pace, got teammates involved and hustled on defense. I do have to dock him for a few questionable decisions, particularly at the end of quarters. Mills’ lack of time, score and situational awareness can be baffling. Summary: Mills did a lot right. The Spurs were desperate for production from Marco Belinelli and he didn’t disappoint. He made smart decisions, fired away when given an inch, moved spectacularly without the ball, was in attack mode with the ball and generally gave the Spurs a much needed injection of energy. Defensively, he competed well and did all he could to stop the Heat from taking advantage of his physical limitations. 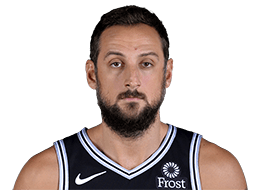 Summary: Belinelli did his part. 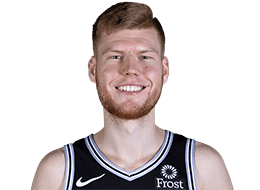 I liked the aggressiveness Davis Bertans exhibited with his shot; I don’t remember him passing up anything that resembled a clear look tonight. Unfortunately, that aggressiveness didn’t translate to the rest of the his game. His defensive intensity wasn’t dialed in and he reverted to bad habits in terms of not being physical enough under the basket. 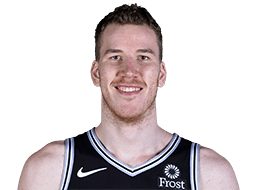 Summary: The Spurs could have used a bit more out of Bertans. 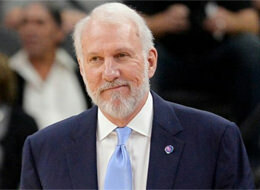 With his starters sleepwalking and White particularly playing poorly, Pop wasn’t dealt the easiest of hands. He did well to get some extra production from his bench. However, in retrospect, he should have played Belinelli more and maybe Bertans as well. Pop may have given up on Poeltl too early but, then again, going small at least provided the team with more mobility and activity. Summary: Pop pushed some right buttons but not enough. Looking ahead: Welp, that winning streak was fun while it lasted. A bounce back win against the Rockets would be a great way to forget about the poor effort against the Heat. Get it.